I am a self declared foodie. I love food, good food! One of my dreams is to visit Italy. I want to experience the art, architecture, and of course the amazing Italian food. While it may be awhile before I get my chance to visit Italy, I can experience fantastic Italian cuisine right now. 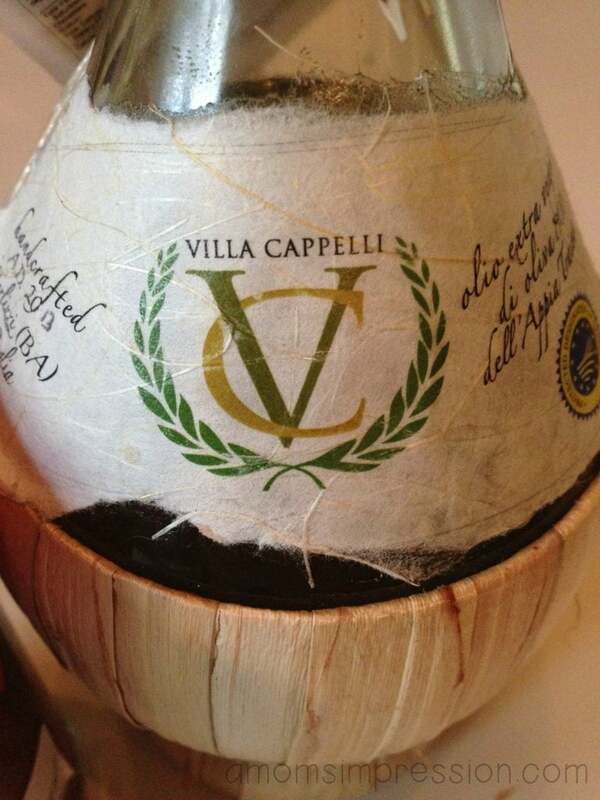 Villa Cappelli produces and sells high quality, all natural Italian food products made in Italy so that the Italian food experience can be enjoyed at home. Not all extra virgin olive oils are the same. I learned that many of the Olive oils that we have in our markets are legally allowed to be mixed with other oils and still be marketed as extra virgin olive oil. Villa Cappelli is 100% extra virgin olive oil, cold pressed and unfiltered with nothing but freshly crushed olives as an ingredient. We have tasted the difference and will not be able to go back to our old brand. 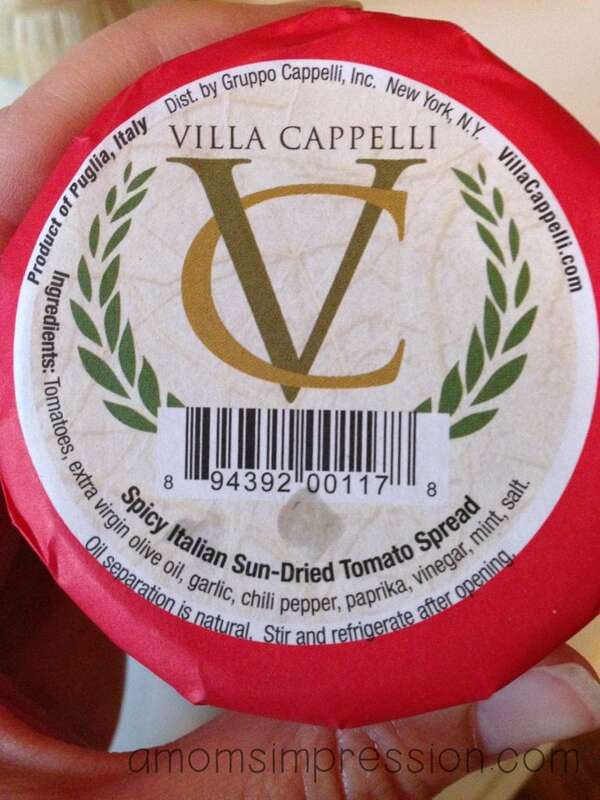 Villa Cappelli also sell other food products that I think you will enjoy like their Sun-Dried Tomato Spreads. 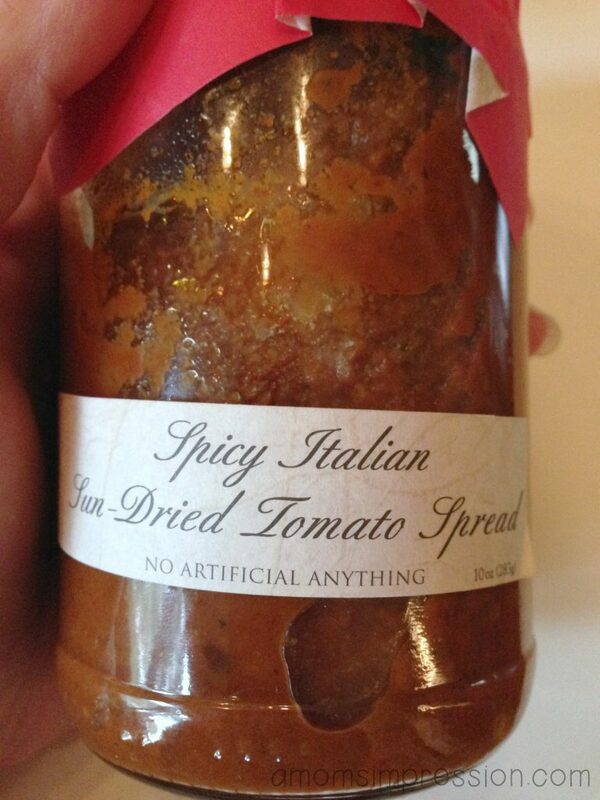 As you can see from the packaging, all of the ingredients are natural and do not contain artificial anything! 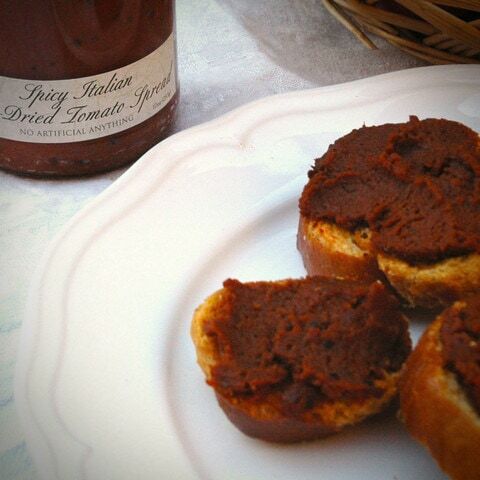 They have both a spicy and a non spicy version that will add a depth of flavor to your dishes or they can stand alone as a great topping on a crostini! While I am not able to cross my Italian vacation off my bucket list yet, at lease I am one step closer to experiencing Italy and the cuisine it has to offer. I can’t wait to experience it first hand. If you are like me and are planing a vacation to Italy in the future, you will be surprised to know that Villa Cappelli is an actual villa that you are able to stay at. “The Villa sits majestically on the ancient Via Appia in the town of Terlizzi, just northwest of Bari in the region of Puglia. It is just 20 minutes from the Bari Palese airport and approximately 7 miles from the Adriatic Sea” ​ You can experience the heart of Italy for yourself! Until I get the chance to experience it myself, I will trade it for some authentic olive oil to add flavor to my cooking, but when I run out I am heading over to the Villa to pick some up in person! What are some of your favorite authentic Italian dishes? Wow, you can almost taste Italy in your photos! I have always been a fan of baked ravioli or Ziti Parmesan- I never knew that products labeled EVOO could have other oils in it! I’ve used authentic, pure, EVOO before and the taste an cooking experience is unmatched! I love trying authentic olive oil out! I find it make coking and sautéing so much better! I had no idea that olive oil could be mixed with other oils and still be called 100% olive oil. I’ve always loved cooling with olive oil, but now I have to wonder what I’ve actually been cooking with. Now you have me craving Italian food. My favorite is Baked Ziti, but pretty much everything and anything Italian is delicious! Good old fashioned spaghetti is my favorite. That bottle itself looks amazing!